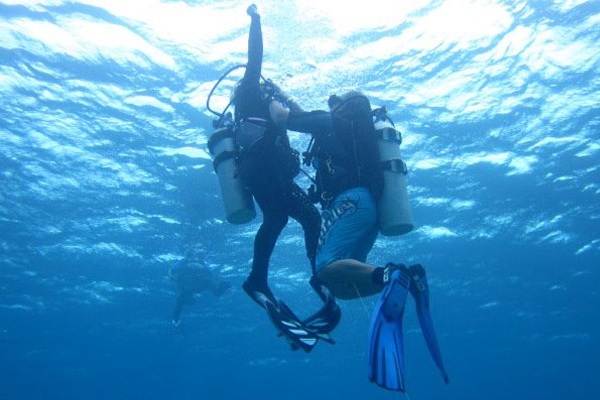 ﻿Are you starting to wonder what all the fuss is about with scuba diving? Are you a bit nervous to find out if you're going to like it? Try a Discover Scuba experience with Octopus World Divers in Dahab!! Try scuba diving in half a day, no experience required. One of the best experiences of your life - You will love it! 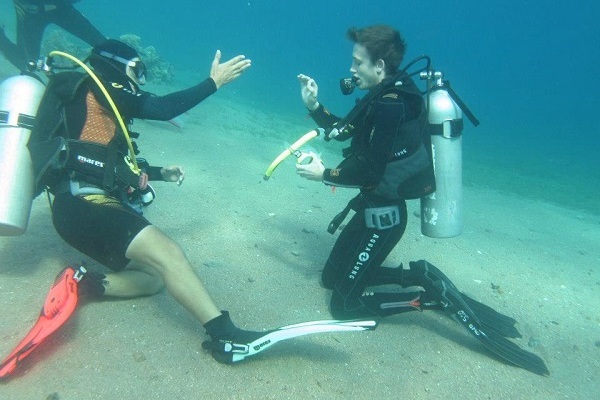 The PADI Discover Scuba Diving programme introduces people to scuba diving in a highly supervised and relaxed manner. Under the guidance of a PADI professional, new divers learn basic safety concepts, put on equipment and swim around underwater in a closely supervised environment. Further to this, should you then decide you would like to take the Open Water Diver Course, you will be pleased to know that your Discover Scuba Diving experience may be credited towards the course. 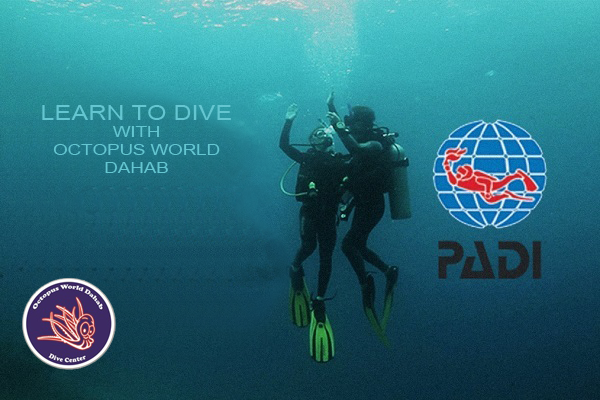 to enquire about Learning to Dive in Dahab. 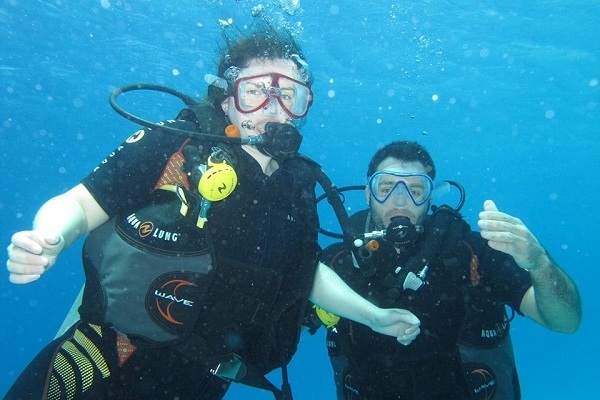 The PADI Open Water Course is the entry level for scuba diving. The course normally takes between 3 to 5 days to complete. 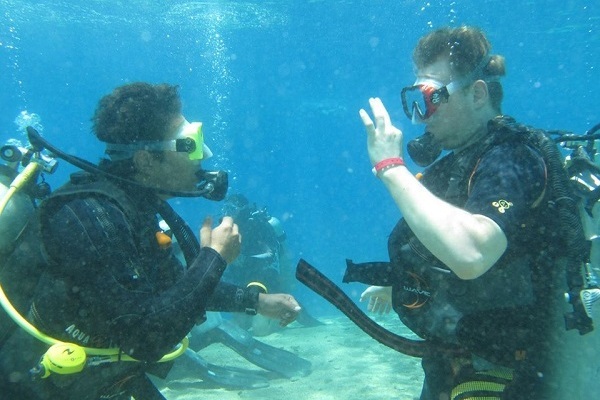 Upon completion of the course, you will hold an internationally recognised PADI Open Water licence. This licence will enable you to scuba dive wherever you go in the world. Virtually anyone who is in good health, reasonably fit and comfortable in the water can earn a PADI Open Water certification. 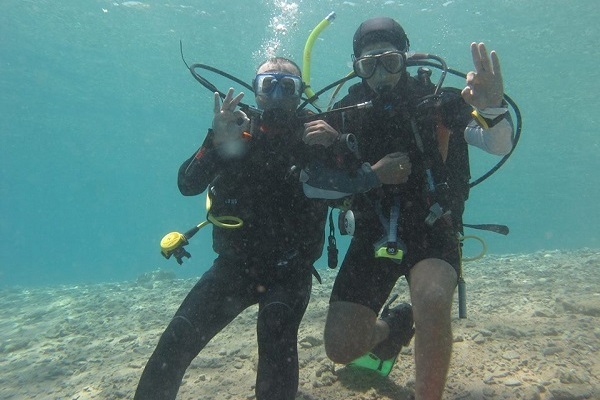 On every day of your course you will enjoy a training session and a fun dive experiencing the Treasures of the Red Sea. Some pictures of students learning to Dive with us at Octopus World in Dahab. Most of all we want to provide you with an amazing, safe experience, so come and explore our Red Sea Treasures ! Can I begin my course at home and save time while I`m on holiday? We offer the Discover Scuba Diving option and the PADI Scuba Diver course, which takes 2 and 3 days respectively. Alternatively, you could look to do part of the course before you leave home, and then complete the course with our referral option.